Engineered floating wood flooring gets better every day. There are more choices in color, style, texture and finishes now than ever before. They are easy to install and to maintain, sometimes even easier than wood flooring. And the price is often less than what you’ll see for wood flooring. 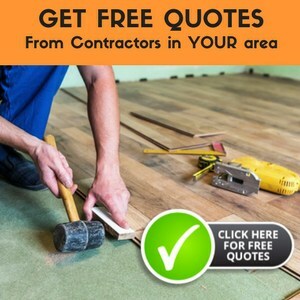 Have you been procrastinating about putting a new floor down in one of the rooms in your home? Maybe the flooring in there is glued down and you are just unsure of how to remove the flooring. You do have options that can give you the beautiful flooring that you want without much of the headache that is associated with removing existing flooring. You can install engineered floating wood flooring in this room to help make it into the showplace that you want. Why Engineered Hardwood Flooring Are The Hot Favorites For House Owners? One of the best and greatest choices for any home is the hardwood flooring. The kind of look that the wood brings out makes the home feel more welcoming and warmer. However, what most people need to realize is that it is not feasible to use just the solid hardwood flooring. That is the major reason why people go for the engineered hardwood flooring. There is a huge difference among the engineered hardwood flooring and laminate flooring. One should not get confused. Laminate flooring is just another kind of engineered flooring while engineered hardwood flooring is all about wood. Here in the laminate flooring, there is no actual wood. Even if there is, it will be only a thin veneer, which is different from the engineered hardwood flooring. Read moreWhy Engineered Hardwood Flooring Are The Hot Favorites For House Owners? When there is a lack of wood, most homeowner get perplexed. Well, they don’t have to worry as they do have one option, which is the cabin-grade engineered flooring. This is the best choice when people want to get the look of the wood floors without any complicate installation procedures and being expensive. Now there are various kinds and grades of engineered hardwood flooring. It is important to know about them in order to find out what kind of flooring you want and looks good for your home.